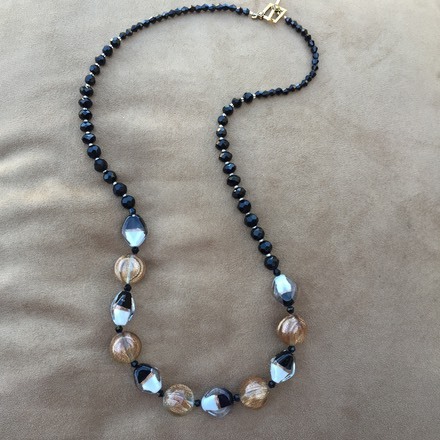 A tri color necklace in Black, White, and Copper. Art Deco style toggle clasp. 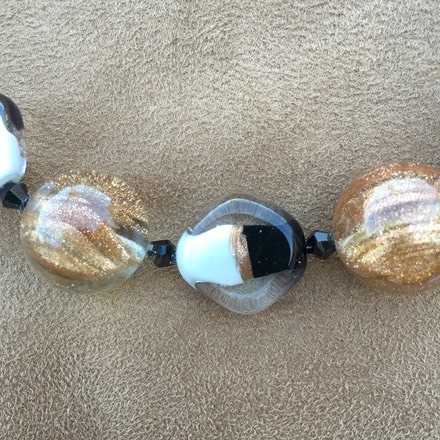 The Lampwork Glass beads are on a strand of jet black crystals, accented with tiny copper colored seed beads. Length is 26-1/2”.